A respected Syrian doctor blocked from re-entering the United States to continue his Ivy League education after U.S. President Donald Trump’s travel ban has found a new home in Canada. Khaled Almilaji arrived in Toronto last Friday and was reunited with his wife, Jehan Mouhsen. He plans to pursue studies at the University of Toronto. The move marked the end of months of uncertainty. 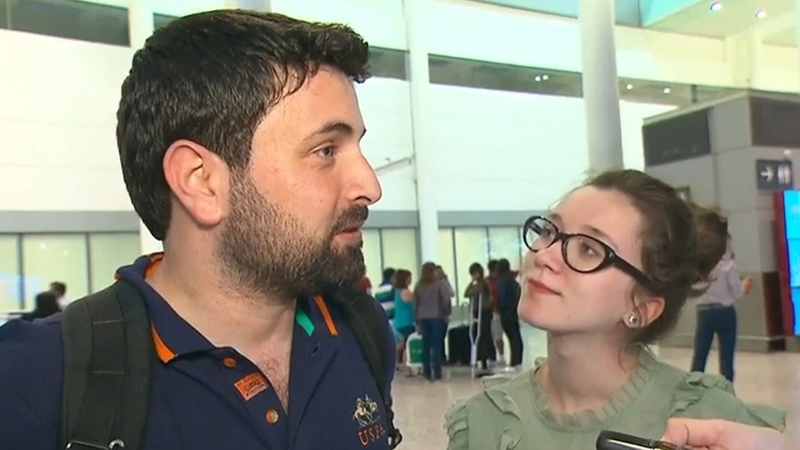 The couple became separated in January while Almilaji was overseas in Turkey working on a humanitarian project. Almilaji is a renowned doctor who has been credited with helping save the lives of 1.4 million Syrian children in a mass polio vaccination campaign in 2013. Mouhsen, who was pregnant, chose to remain in Rhode Island, where Almilaji had been studying at Brown University on a full scholarship. When Trump’s travel ban on seven Muslim-majority countries was signed on Jan. 27, Almilaji, who was born in Aleppo, was unable to get back into the U.S. The unexpected news left the couple in limbo. 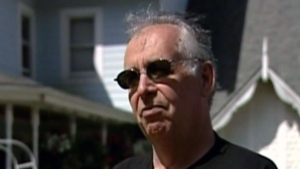 "I was getting worried,” Mouhsen told CTV News. “It was getting longer and longer every time we talked." Almilaji is no stranger to feeling trapped. Early on in the Syrian conflict, he was jailed and tortured for six months by the Assad regime. He was freed in 2011 and fled to Turkey. Five years later, the couple resettled in the U.S. 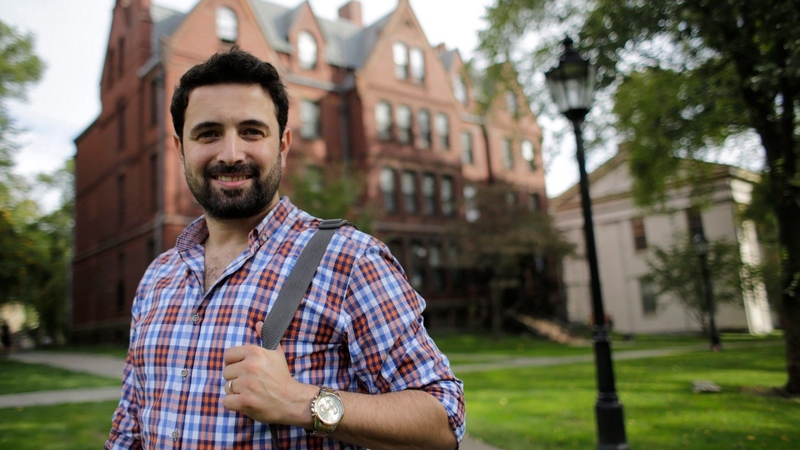 While stuck in Turkey, Almilaji kept up with his studies at Brown by watching lecture videos online and reading notes taken by friends. The couple stayed in touch via Skype through the winter, with little idea of when they’d see each other again. News of the couple’s predicament spread quickly through news stories. After more than a month of waiting for a new visa, Almilaji got in touch with faculty at the University of Toronto. "As soon I talked to him, I thought he would bring so much into our program,” said Julia Zarb, program director of the Master of Health Informatics program at the school. Almilaji was accepted into the program and restarted his studies Wednesday at the University of Toronto, with full support from Brown. His long-term goal is to help improve the livelihood and health of Syrians. “As a recognized humanitarian with extraordinary global public health experience, he will enrich the scholarship of our academic community,” said Howard Hu, Dean of the Dalla Lana School of Public Health, in a statement. Almilaji has worked closely with the United Nations, the World Health Organization and co-founded a medical charity aimed at delivering health care to Syrians during the ongoing civil war. The UN estimates that more than 400,000 people have died since the war broke out six years ago. The couple says they’re happy to have found a new home in Toronto, and that the harrowing ordeal taught them an important lesson. "You can plan for your life, but it doesn't go always like what you want," Almilaji said. Khaled Almilaji, left, arrived in Toronto on Friday, June 16, 2017 with his wife, Jehan Mouhsen, right.